An eyewitness look at the Washington, D.C., protests against Brett Kavanaugh’s nomination to the U.S. Supreme Court. Three weeks ago Justice Brett Kavanaugh was confirmed to the U.S. Supreme Court amid allegations of sexual assault and lying under oath. Numerous Americans, myself included, were frustrated with the way the Senate seemed to dismiss the compelling testimony of Christine Blasey Ford. 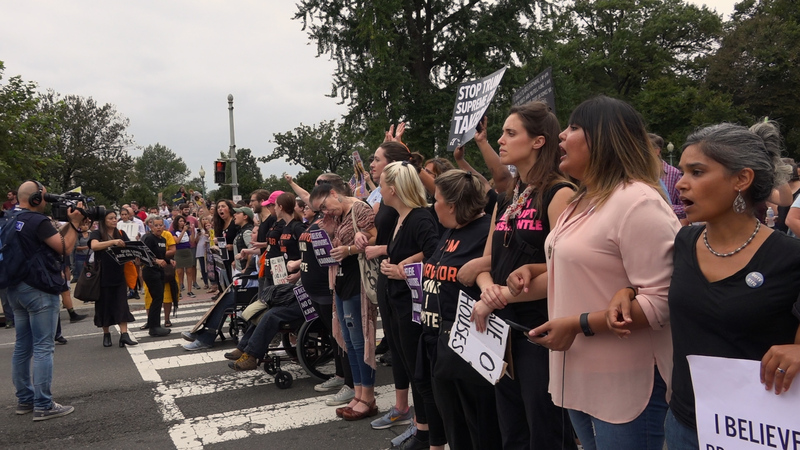 Protesters gathered outside of the Supreme Court as the Senate voted to confirm Kavanaugh. Some publicly shared their traumatic experiences while under the scrutiny of numerous Kavanaugh and Trump supporters. Others chanted for hours, passed out water and snacks, held those who were crying, or just stood in silent resolve. By the end of the day, 164 people were arrested for protesting. I joined the protests that day and documented the experience.